Flo is an artist who delivers music with soul and substance. With live performances that have been described as 'incendiary' (Winnipeg Free Press, May 2011), Flo has graced the stage with artists such as: Devine Brown, Lauryn Hill, and Boys II Men, among others. 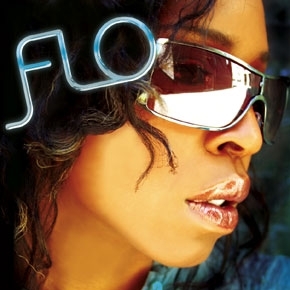 Flo’s journey as a solo artist began with the release of her debut album "Flo". The Winnipeg Free Press proclaimed “she’s definitely an urban soul artist to watch”, giving the album 4 out of 5 stars. The Winnipeg Sun wrote “the record is dripping with confidence”. In May 2011, Flo was the subject of an in-depth profile in Sandbox magazine. If her first album "Flo" marked a confident beginning for this gifted young artist, then her sophomore release, "Pieces of me" which is slated for release in spring 2012, sets her on an upward trajectory to prominence. In the midst of recording the project, her producer Arun Chaturvedi was crowned Producer of the Year at the 2011 Western Canadian Music Awards. The collaboration resulted in songs that are a pop-soul fusion with elements of R&B, dance and hip-hop. Flo describes this new album as up-beat and more adventurous than its predecessor. The material reflects her evolution as woman and artist. Songs like "Tell me why", "Lullaby", and "Hateless" touch on her deeper exploration into the human experience. "Ten" is a disco-tinged anthem to self-empowerment.